Millions of Takata airbags still need to be replaced in recall, partially because a lack of supply. 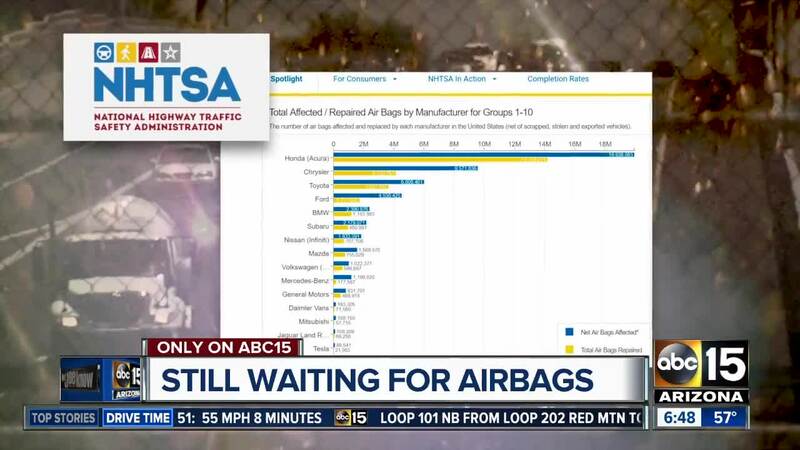 So far, 41 million cars have been recalled due to potentially dangerous Takata airbags. But years after learning of the danger, many owners still don't have the fix. In some cases, they've been waiting for replacements. In other cases, dealers have the parts, but say owners aren't coming in to get the repair. Here are the latest numbers from the National Highway Traffic Safety Administration. 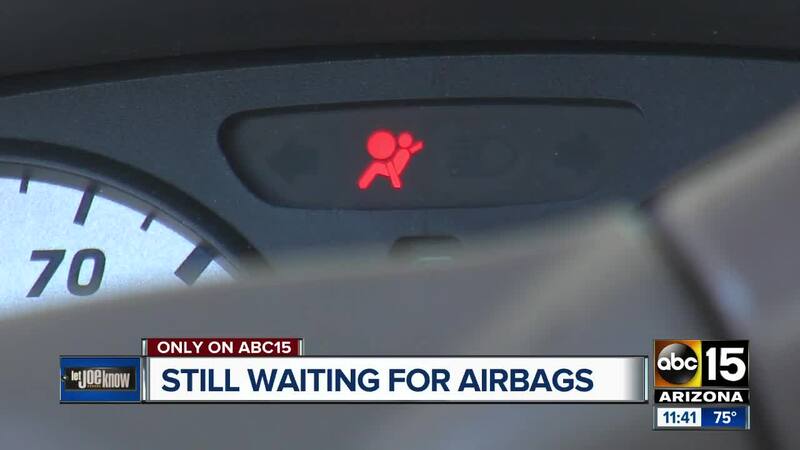 As of February, out of Honda's 19.9 million cars needing airbag replacements, 14.1 million have been replaced. Toyota had nearly 6 million cars impacted by the recall, 3.6 million have been replaced by February according to the NHTSA website. At Chrysler, 9.5 million needed replacement, 4.1 million had been done. A spokesperson for Fiat Chrysler Automobiles (FCA) says "we've had parts available for years; our biggest challenge is getting affected customers to bring in their vehicles for repair." He also says Chrysler replaced airbags do not face another replacement recall. Find out if your car has an airbag or airbag or any other recall on the NHTSA website.